Your Concierge in New York City Your Concierge in New York City – We can help with everything from sightseeing during your vacation to longer term projects like researching new business ideas, setting up a business, professional and student relocation services. We can help with everything from sightseeing during your vacation to longer term projects like researching new business ideas, setting up a business, professional and student relocation services. Support provided by a Japanese expat. and handle all of the details before you get here. Welcome to Manivita.nyc, New York’s top personal and business coordinator. My name is Nami and I’ve been living in New York City for 8 years. Since that time I have turned my passion for this great city into a career helping people enjoy and thrive in the “Center of the Universe”. I am an accomplished world traveler having visited over 60 countries and having lived in 8. In addition to my travels, I have worked in the hospitality field for major international airlines and 5-star hotels. Whether I’ve been a tourist or settled in a new country to start a career, I’ve always wished I had someone in each country to show me around and get me started. I take things beyond the guidebook in terms of nightlife, entertainment and culture and if you have decided to make a life here in New York City, I can save you all of the frustrations and work with you to build your foundation so you can focus on your new career or your studies within your first week here. With my real estate background, I can even work with you so you will be looking at suitable apartments or commercial space in great neighborhoods as soon as you get off of the plane. Consider me your warm, caring, expert resource to help you make the most of your vacation or your new life in New York City. support, I was able to get the results that I wanted. This visit to New York was for the JAPAN brand research project and was backed by the Ministry of Economy, Trade and Industry. I asked Ms. Yamaki to do some translating work but she did much more. She was flexible enough to deal with unexpected requests and introduced me to other visitors who were not part of my agenda. She also gave me an idea for my project. 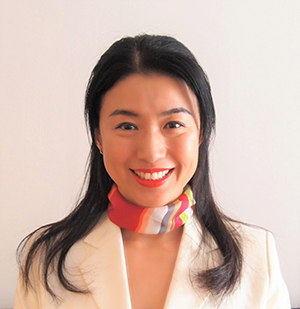 It felt like Ms. Yamaki was a key member of my team for developing my new business in New York rather than just a translator. I found Nami’s website while looking for a private guide for me and my family for our first visit to New York City. Planning was easy. 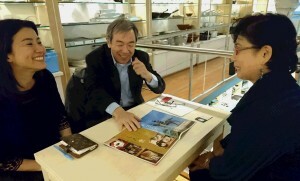 We exchanged emails and set up a 2-day itinerary of activities that interested us. Nami’s advice was definitely useful and we were glad to have someone like her to maximize our enjoyment over such a short stay. Nami mentioned that we could change our plans at any time during the visit, and we ended up doing some souvenir shopping and taking a well needed rest at a nice café. The flexibility was certainly appreciated by my family. She also reserved excellent seats for us at a Broadway musical that we always wanted to see and she was great at resolving any last minute issues that always seem to happen when traveling to a new city. I am planning a trip to New York City with my girlfriends later this year and I shall definitely ask Nami to be our guide again. Dec. 2015 Resident in Nigata, Mrs.M.S. 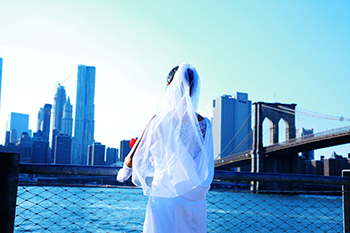 While I was looking for a private guide for our honeymoon in New York City, I found Nami’s website and discovered that we can get married in New York City. While we were exchanging e-mails, she recommended to have wedding photos taken by a photographer, so I asked her to arrange it. It was like a dream when I look back. I was celebrated by tourists from all over the world at Times Square, 5th avenue, and under the Brooklyn Bridge. We were at ease because Nami was with us every step of the way during the two day process at City Hall where we applied for our Marriage License and then got married. She also took many pictures of us there. After returning Japan, I put our marriage license on the wall which gives me a big smile whenever I look at it. Nami, thank you so much for giving us such unforgettable memories. I live and work in New York City. My parents visited me this year, but I could not spend as much time with them as I wanted to due to my work. I looked for private guides online and found Nami. She took excellent care of my parents who are elderly. She was warm and friendly and took them on a personal sightseeing tour. Nami was also very knowledgeable about the history of each site. She was also very helpful when they had an issue with their hotel. Nami spoke to the manager and sorted everything out. My parents were big fans of Nami and want us to all have dinner together when they next visit. I was very anxious to go to New York City by myself because it was my first time studying overseas. My parents retained Nami to help me get started. Nami listened to my concerns and made me feel at ease even before I left Japan. As soon as I arrived, she helped me find an apartment as well as rental furniture and do all the things necessary to get me settled in. She even helped me with an incorrect IKEA order. 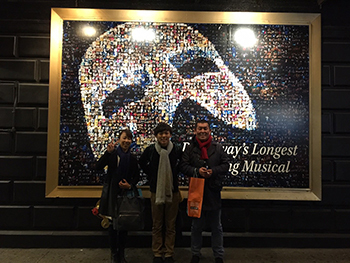 Thanks to Nami, I could start my life in New York City smoothly, and concentrate on my studies the following week. Thank you so much. I had a dream of someday opening my own beauty salon in New York City. I had no idea where to start but I found Nami’s website and sent her an email. She called me the next day and told me about the New York City real estate market and the documents needed to establish a corporation in New York state and what was necessary to obtain the required license in order to open a beauty salon. Nami provided me with specific, detailed and easy to understand guidelines. From there she was able to tenaciously negotiate a contract for me. Nami’s service was very attentive, professional but most impressive was her willingness to work hard on my behalf during the contract negotiation. One short email to Nami and 6 months later I achieved my dream of opening a beauty salon in New York City. If you are thinking about setting up a new business in New York City, Nami will make your dreams come true.